Do You Think Bitcoin Crashing From $6000 to $3000 Was The Capitulation Required Before A Slow Grind Out Of The Bear Market Could Begin? 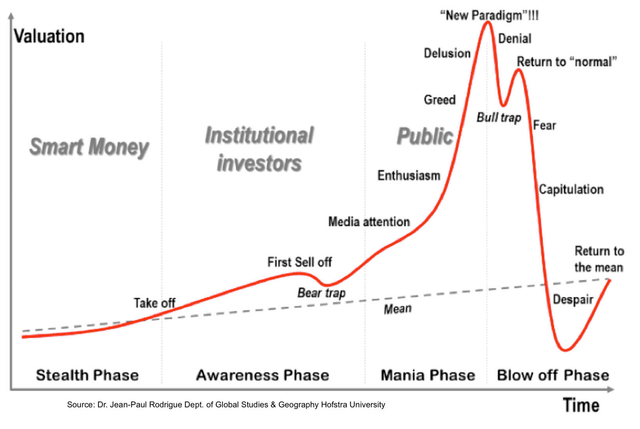 If you look at the above image depicting the phases of a market hype cycle, pay attention to monikers describing market sentiment. Do you think we're past the capitulation stage, that is, did it occur last November when the price of Bitcoin plummeted by 50%? Yes, November 2018 saw the capitulation stage. It's going to be a slow grind from now on towards a new top. No, I think there will be lower lows still ahead.